Let the nearest pros help you find the right overhead door for your home. Every garage owner needs to have a door that they can rely on to provide the security they want for their property. A new garage door can offer you many things. It can keep your belongings and your home safe from thieves, or add some curb appeal to the house. Whatever the reason may be for you to need to get one, you'll be glad you contact Garage Door Repair Natick for help. When it comes to automatic overhead door systems, there's a huge amount of variety nowadays. Many major brands maintain a vast collection of different types of doors made of all sorts of materials and with varying R-value levels (signifying insulation capacity). Finding the best garage door model for your home can be difficult, but it’s a process that can be made easier when you give Garage Door Repair Natick a call. Get a free estimate on a new overhead garage door and find out about all the different Clopay, Raynor, Windsor, and other brand name models available today. 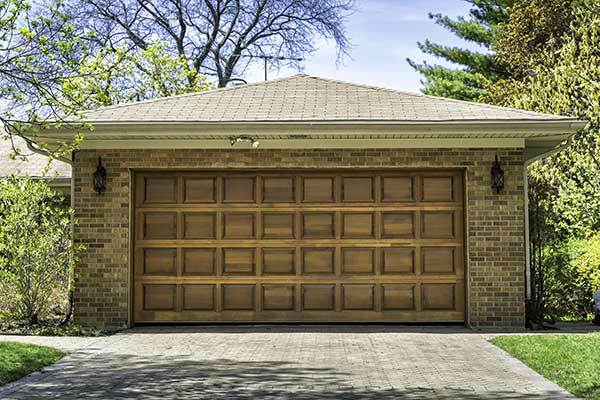 What makes a garage door automatic? A device known as the 'opener', that's what. This is an electromechanical motor that connects to the door via a drive system and takes over the opening and closing of it. You can control modern Genie and LiftMaster garage door openers (to name a couple of major brands) using WiFi-enabled devices like tablets or smartphones, or you can use high-tech remote handsets or wireless keypads. The choice is up to you and your preference and budget. You can choose from a range of affordable chain drive opener models and ultra silent belt drive units to find a device that perfectly meets the needs of your garage door and your home. It's only natural for things to go wrong with a system as complex as an automatic overhead garage door. Broken spring repair is a common service requirement that most garage door owners come to need eventually, due to the fact that the springs on your door are its muscles. That means that they're under the highest amount of stress every time the overhead door opens and closes. 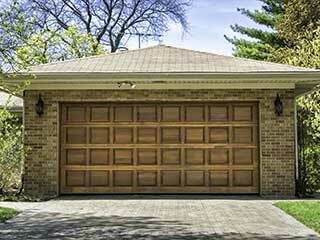 If you find that the garage door is not opening or closing fully, or at all, spring or opener repair may be in order. Whatever the case may be, know that you've got a nearby service team to call in Garage Door Repair Natick. The same day service policy maintained here means you'll get a fast response regardless of what day of the week it is. Whenever you find yourself in need of help, it's always good to contact overhead garage door service specialists close to you. Location is important with things like this. You want the service technician to arrive as quickly as possible, right? Reaching out to Garage Door Repair Natick for help with anything from broken springs to opener troubleshooting is a great way to ensure the problem gets fixed quickly. And for a fair price too. The same goes for those looking to get a new garage door opener or a new overhead door installed. Get in touch with us using our service hotline or the scheduling system on this website for a free estimate on new garage doors or any other service need you have.